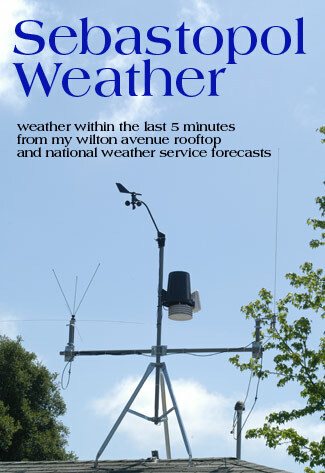 Weather information on this page is updated every five minutes. Since July 1, we have had 36.34 " of rain. Average seasonal rainfall for April 19th is 29.78". We are now at 122% of our normal rainfall for this date. Images and content John Morehead. All rights reserved.